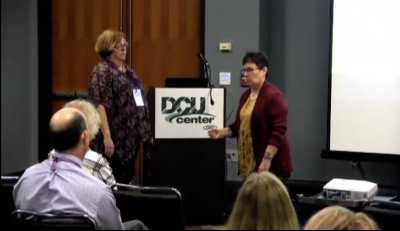 At the recent Mass-ALA (Assisted Living Association) Conference and Trade Show held at the DCU Center in Worcester, Karen McCarthy and Noreen Shea put on a presentation called “Your Approach Matters” highlighting ways to approach patients with dementia or early onset Alzheimer’s. Watch the full presentation here. 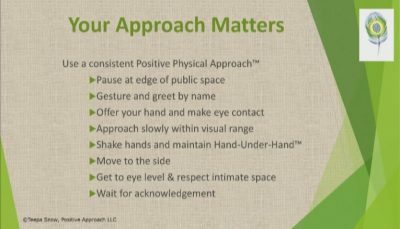 This is a very helpful presentation with many tips for those in eldercare or healthcare professions, or anyone who interacts regularly with people who have dementia or Alzheimer’s.